In Sempera power comes from time; the poor have their time drained from them through their blood and the rich consume the blood irons with their cup of tea to be able to live for hundreds of years. This highly original fantasy concept is made even more fascinating by the fairy tale of the Alchemist and Sorcerer that runs throughout; two magical beings that supposedly started with the power play of controlling time. Whether fictional or based on true events, the young Jules lives on the wrong side of the power struggle as a poor servant in the household of the rich Gerlings. She lived on the Everless estate as a child and after being forced to leave she never forgot about the boys she grew up with, kind Roan Gerling and his wicked brother Liam. So when she returns it doesn't take long for her to reconnect with Roan. The fantasy genre has exploded within young adult in recent years and while initially it wasn't one I thought was for me, there are plenty of excellent reads that have convinced me otherwise, such as Caraval, A Shiver of Snow and Sky and Red Queen. However, having such a stellar catalogue of books for comparison, Everless had a lot to live up to. Luckily it exceeded all my expectations, and then some! After reading the blurb and having a vague idea what the book would be about I was intrigued by the workings of how blood could extend or decrease someone's time on earth, but it was the cracking story and feisty protagonist that kept me hooked throughout. There was so much going on with Jules and Roan, Jules and Liam, Jules and Ina and then there was the whole Alchemist and Sorcerer storyline too, creating an absolute whirlwind of a reading adventure and I loved every second of it. Everless was so interesting and different that it constantly took me by surprise. I didn't see some of the biggest revelations coming, especially in regards to Roan and Liam and I really enjoyed that level of suspense that came with it. I did not like that it ended on a massive cliffhanger, but when a story is *this* gripping I'll give it the benefit of the doubt 😉 This is definitely one series I'll be eagerly anticipating the next installment for! 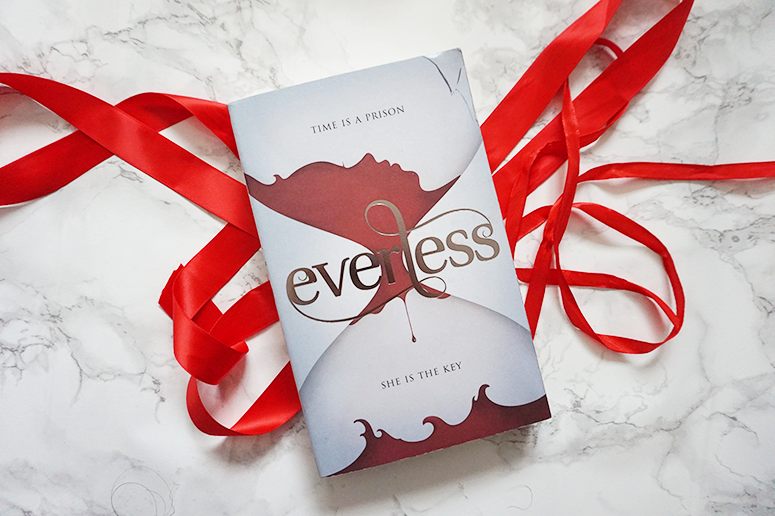 Everless will be published by Hachette Children's Group on 27 December and you can get your copy now from Foyles or your own preferred retailer.